Peel and chop mango into cubes. Remove seeds from tomatoes and chop into cubes. keep it aside. Heat oil in kadai. Add mustard seeds, fennel seeds and cumin seeds. After seeds are popps out add turmeric powder, red chili powder, saute for 1 min. 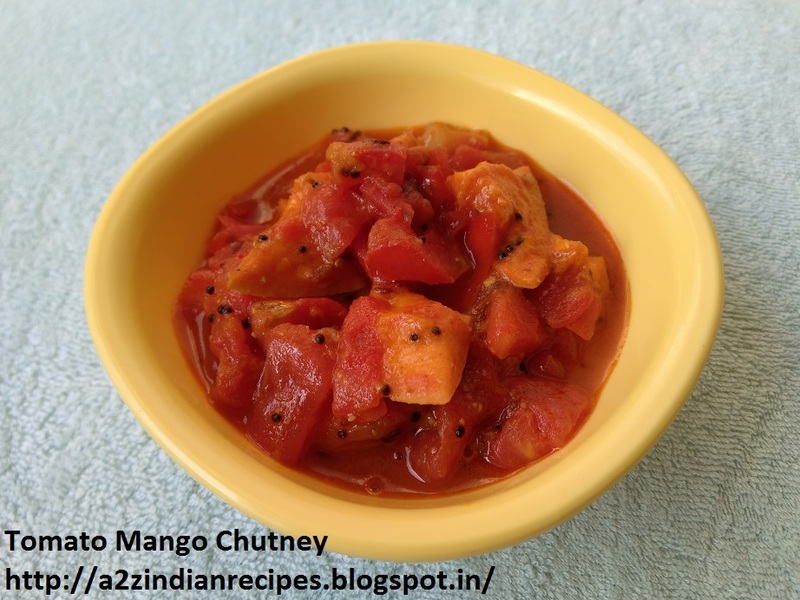 Then add tomatoes and mango pieces, cook till mushy, then add sugar, salt, saute for 2 min. Serve with paratha / chapati.